Make a taco-style salad to serve with the crescent ring. Toss shredded Romaine lettuce, halved cherry tomatoes, chunks of avocado, and sliced radishes. Make a creamy dressing by stirring some red or green spicy taco sauce into some plain ranch dressing to drizzle over top. Don't care for ground beef? Substitute chicken instead. Taco night will never be the same again! 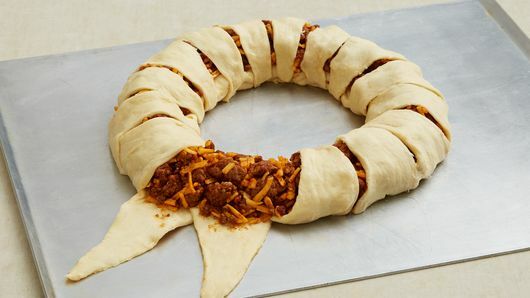 If you’re wondering how ground beef, crescent rolls and taco seasonings can combine to make such an impressive presentation, this top-rated Pillsbury recipe makes it easy for you. 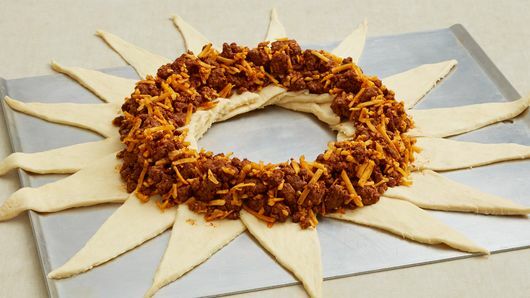 While the finished crescent roll taco ring looks like a dish that requires lots of time and expert-level skill, the secret is that it’s easy as can be to pull together, thanks to Pillsbury™ refrigerated crescent dinner rolls. Plus, it’s customizable to your family’s taste. Feel free to swap in chicken, ground turkey or meat substitute for ground beef. 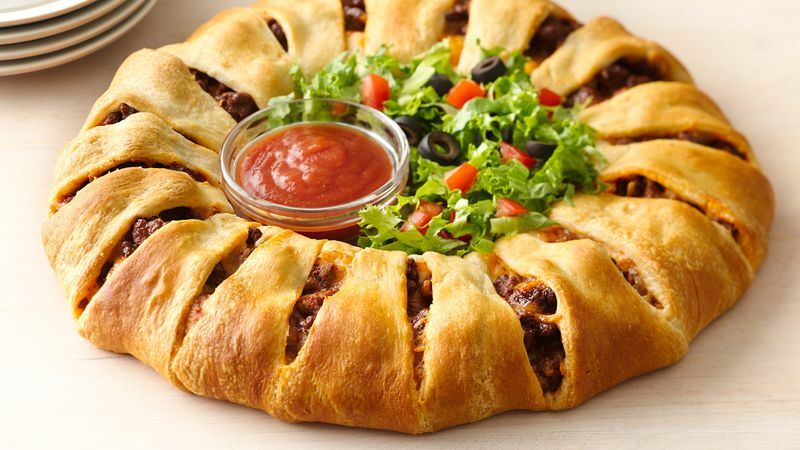 Then top the finished beef taco ring with lettuce, tomatoes, avocados, olives and any of your favorite taco toppings. Keep some bowls of salsa on hand for those who love to dip their slices in something spicy. Obviously, we're all fans of tacos. How about trying enchiladas next? 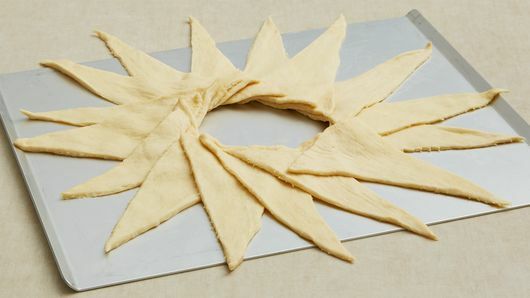 They’re not as hard to make as they look, thanks to our easy how to make enchiladas article.